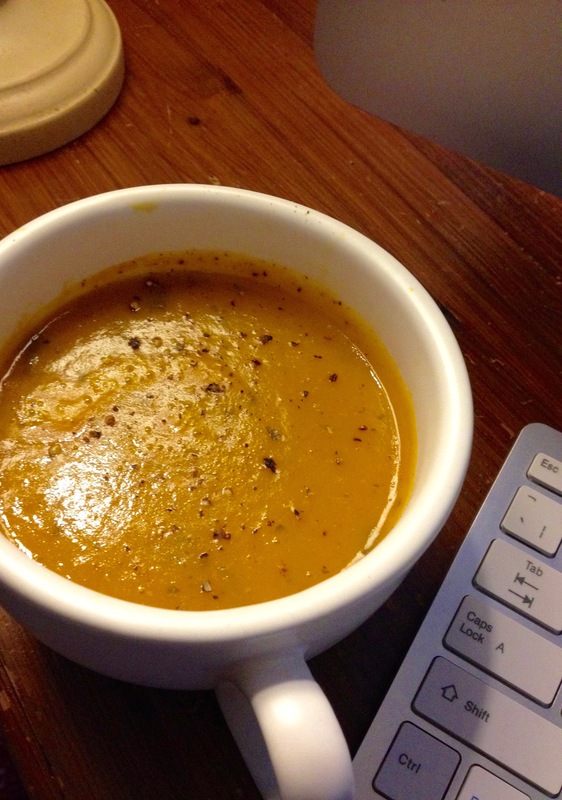 Every month I try out a selection of Glorious soups and then tell you all about them. This month all the soups that I have sampled are perfect for January health kicks from the Glorious Skinnylicious range. All under 2% fat per portion and less than 150 calories. Cutting down on calories definitely does not mean compromising on taste. I used to find it hard to eat soup without a mound of crusty bread slathered with butter and that turned a reasonably healthy meal into a bit of calorific one. As much as I still enjoy a bit of bread to dip in I don’t feel the need for it so much with Glorious soups which are filling and tasty enough as a standalone dish. The new Vietnamese Supergreen is pretty awesome. I’m also looking forward to trying the Texas Four Bean Chilli this week. Did I tell you I have lost 17.5lb since the end of October? I’m still a bit astonished at this myself and I am still struggling to really see where it has gone but yes my clothes are a little looser, my face has lost its roundness which comes so easily when I put on the pounds and I am really proud of it. It hasn’t been easy to keep to it at all times so I haven’t. I took 3 weeks off over the festive period as I had so many meals/get togethers and well cheese boards to get through but I must have restrained myself unconsciously as I only put on a few lb. To be perfectly honest with you the numbers don’t matter that much although they certainly give you a boost but it is my health that this is all about. The one issue I have with dieting or healthy eating is my LOVE of baking and creating rather indulgent dishes. You will notice that I am still creating new recipes and enjoying my meals. I am just changing the way I eat. Not all the time of course. I still want a slice of my chocolate salted caramel cake every so often and some of my jalapeño and cheese garlic bread but not for every meal. I put on weight really easily which is frustrating so I always have to be mindful of this and so there will be lots of the healthy dishes I’m currently enjoying like these stuffed peppers. 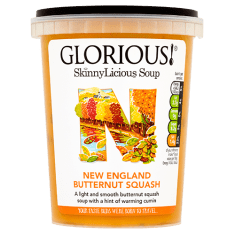 For lunches I am really enjoying the Glorious skinnylicious soups wth my current favourite still being the New England Butternut Squash. It tastes really indulgent and fills me up whilst warming me in this chilly weather. I normally eat half a pot as a serving which is just 103 calories. Sometimes with a slice of bread or toast but mostly alone with some fruit to follow. 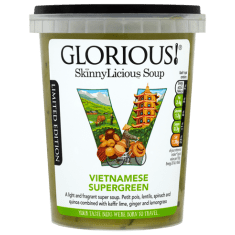 Whether you are trying to cut down or make a change or if you just enjoy delicious soups I do recommend you try Glorious Soups. *As a Glorious ambassador I am sent samples of soup/vouchers each month and am compensated for my time. I am not obliged to write positive reviews and as such all thoughts are my own. I really like them and my favourite is still the skinny Thai carrot. Such a useful fridge essential. They always have very good flavours and I like that there are often some textural ingredients in the soups too.